A major benefit of modular furniture such as desking and workstation systems is the flexibility to reconfigure as needs change. As growth occurs and office needs evolve we work with you to develop the new layout and plan. We provide drawings to show the new arrangement, process the orders for any new product that may be needed, and provide the labor and project management to make changes as seamless as possible. By utilizing our design and installation services, your schedule is free to focus on your “normal” job. Some products are purchased because of their inherent flexibility. 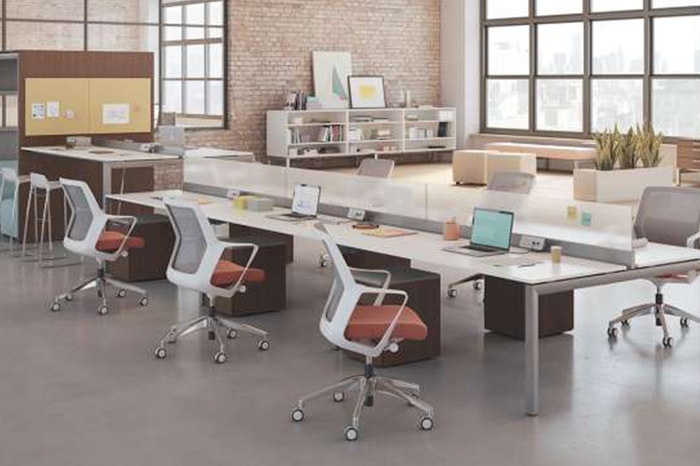 Examples include workstations (cubicles), desking systems and modular desks. These products are generally reconfigured due to changes in personnel, expansion, downsizing or relocating. Our team will provide space planning assistance and the necessary labor to make this happen. As your staff grows and expands, the furniture needs will shift along with you. We are available to tear down, relocate and re-install furniture in an existing space, move across town or move across the country. Relocations may be performed after hours to avoid lost work production time. Many large jobs are complex, with constant moving parts. We provide the pre-planning to ensure the job goes smoothly. We will meet with your architect, contractor, or staff in advance to plan and schedule the job. We will have a lead installer to manage the job and be your point of contact. Any changes or issues can be communicated throughout the process and often can be resolved on the spot. We want to allow you to worry less and have more time for your regular job.